Ctrip and Shangri-La Hotels and Resorts today signed an agreement to offer more unique experiences to Chinese consumers across Asia and the world. The agreement enables Shangri-La Group’s brand of hotels and resorts including Shangri-La, Kerry, Hotel Jen and Traders to be directly connected and promoted on Ctrip’s platform. The strategic partnership – confirmed between David Zhou, Chief Business Officer for Accommodation Business Unit of Ctrip and Oliver Bonke, Shangri-La President and COO – will enable Ctrip to bring its scale of operations and capabilities in its online travel platform to enhance the travel experience for Chinese consumers who choose to stay at Shangri-La Group’s hotels and resorts. The two globally recognised Asian hospitality companies will work together, drawing on Ctrip’s scale of resources and technology, and Shangri-La’s iconic service and international standards of quality to provide enhanced experiences for Chinese travellers. Shangri-La has been committed to growth in mainland China since opening the first Shangri-La hotel in Hangzhou in 1984. More than three decades later, the Group has grown its portfolio to over 100 properties globally. With a strong Asian and expanding international footprint, the Group’s hotels are well placed to ensure Chinese travellers feel a sense of familiarity and are well looked after within and outside of China. Ctrip is the largest provider of overseas travel for Chinese travellers. Approximately one in every four Chinese book and search for travel products and services through Ctrip’s platform, making Ctrip the largest outbound travel platform in Asia. “Shangri-La will continue to take a leading role in the growth of China’s hospitality and travel industry,” said Oliver Bonke. 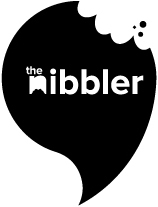 There are three things we read religiously at The Nibbler – Economist, The Monthly; the weekly Hotel Wrap. And even those first two are a lie.